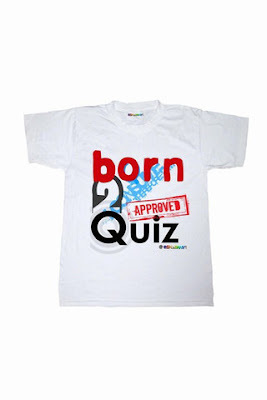 its not just Quizzzing...its Thinking Out Of The Box!! Mahatma Gandhi visited the state of Bihar as a result of the 1934 Nepal–Bihar earthquake He wrote that the Bihar earthquake was providential retribution for India's failure to eradicate untouchability which was not appreciated the then major political fonts of India. However, The famous poet Sarojini Naidu appreciated X during a concert which was organised in the aid of victims of the 1934 Nepal–Bihar earthquake in which she appreciated X and that encouraged her to continue her doings with more enthusiasm. Welcome to Q-FACTOR: The Quiz blog of Assam Engineering College. 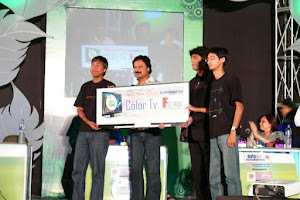 We AECians are highly honoured to mention that this blog is North East India's FIRST and ONLY fully visual quiz blog. We represented Generation Awakens, an NGO, where we worked as content co-ordinators (after completing graduation) for an educational project. 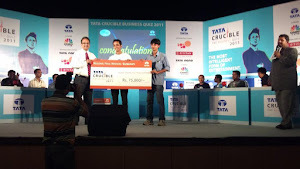 Won an all expense paid trip to Hotel Taj Mahal Palace-Mumbai. 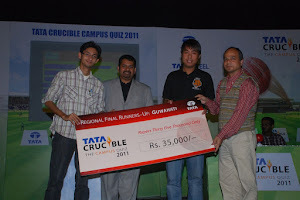 Q-FACTOR: Runner's up@ Tata crucible campus 2011 Guwahati regional round!! Copyright (c) QFACTOR 2009 . Initiative by Maharnav Gogoi. All rights reserved.